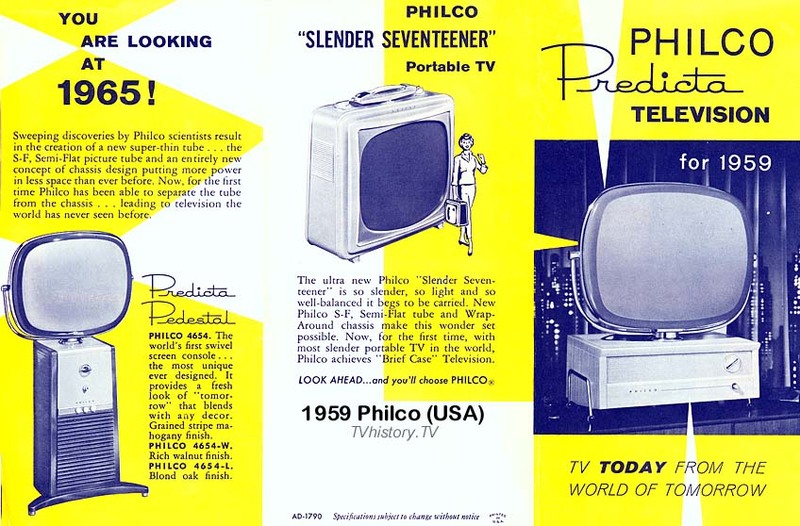 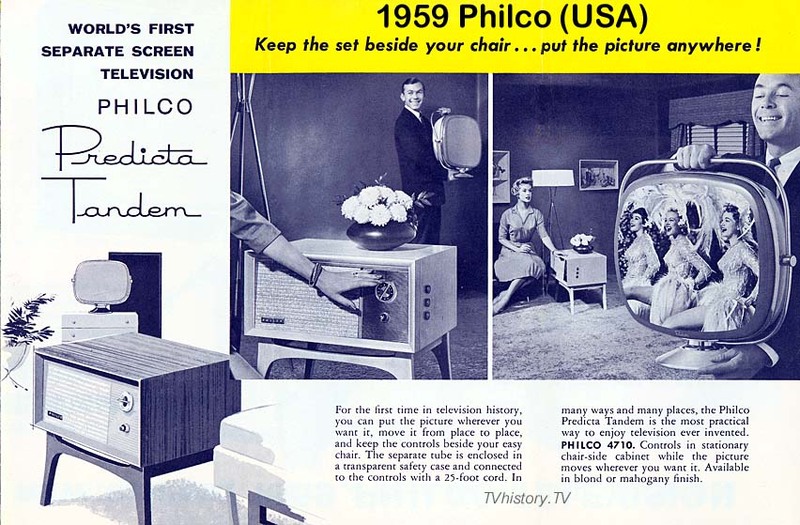 RCA's chassis number CTC-9, color television set. 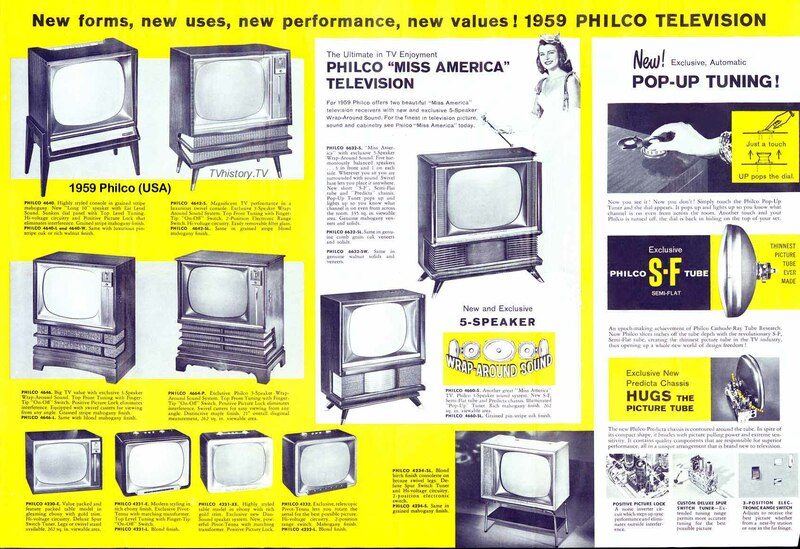 US manufacturers were experimenting with all kinds of 'options, features and designs' in the late 1950s. 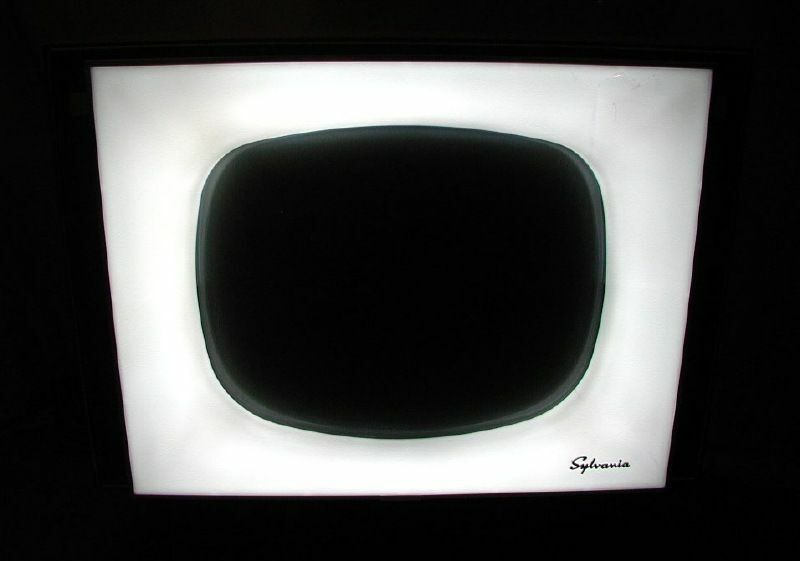 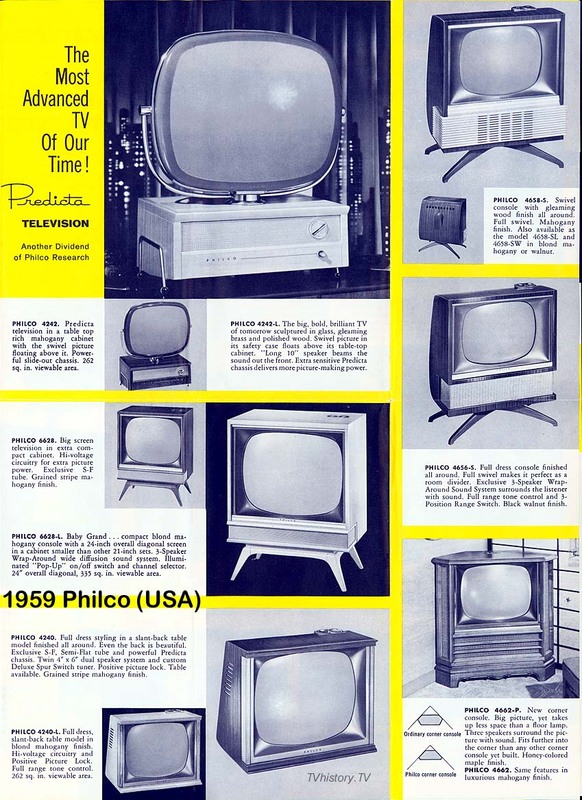 One unusual feature offered by Sylvania was their "Halo Light" Black & White television, which had a fluorescent light that surrounded the picture tube. 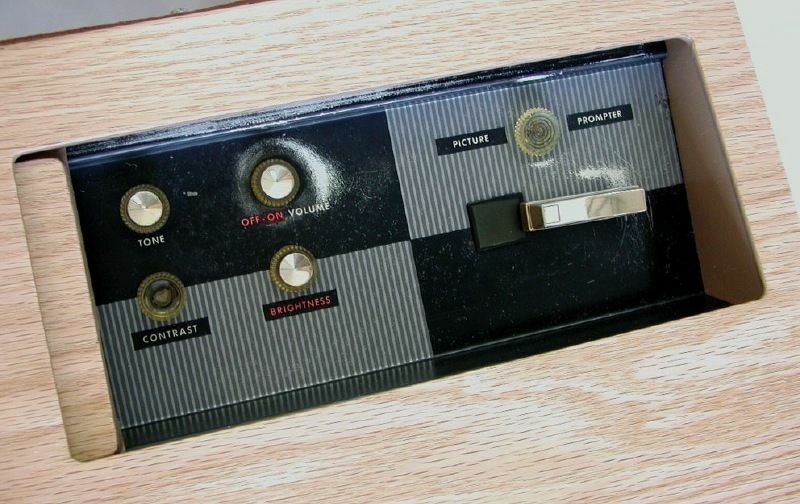 This could be switched on and off at the owner's discretion.